The admission campaign was launched in the structural subdivisions of the University. 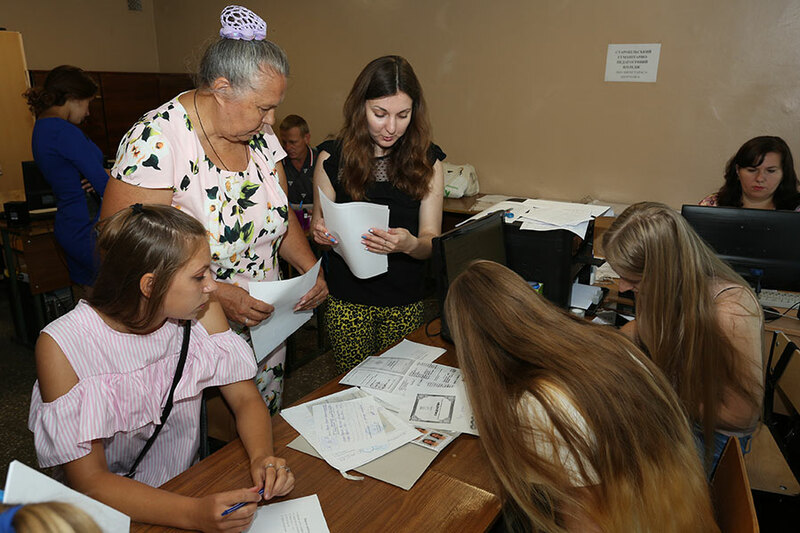 Reception of applications and documents for getting an education on the educational and qualification level of the “Junior Specialist” began. Applicants with the basic (9 classes) and full (11 classes) general secondary education and with the diploma of the level “Qualified Worker” can enter the colleges. Admission commissions of the Starobilsk Humanitarian and Pedagogical College and the LTSNU College started their work on July 2 and will accept applications and documents for full-time training on the basis of the basic general secondary education until July 14, on the basis of full general secondary education on electronic applications from July 12 to August 1 (for specialties with creative competitions) and until August 08, 2018 (for other specialties). You can get more information on the specifics of the admission to the educational level “Junior Specialist” on the web-pages of the colleges and by phone 099-612-79-33, 066-612-47-74 and at the admissions office every day from 9:00 to 17:00 at the address: 1 Gogol Sq., the city of Starobilsk. Choosing the future profession, applicants should consciously approach the matter, because their future depends on this decision. The specialties represented in the structural subdivisions of LTSNU are in demand on the labor market. So do not hesitate. We are waiting for you!